Meinir Lloyd from Carmarthen, is the winner of this year’s Sir TH Parry-Williams Memorial Medal. Brought up within the musical surroundings of Maesaleg in the village of Cyffylliog near Ruthin, Meinir was influenced by local coaches from an early age, in particular Dr Aled Lloyd Davies as a pupil at Ysgol Brynhyfryd, Ruthin. She developed as a harpist and singer, and was a regular winner at our national festivals. She regularly appeared on numerous television programmes, and recorded a number of records, one of which, ‘Watsia Di Dy Hun’ has enjoyed a recent revival in popularity. 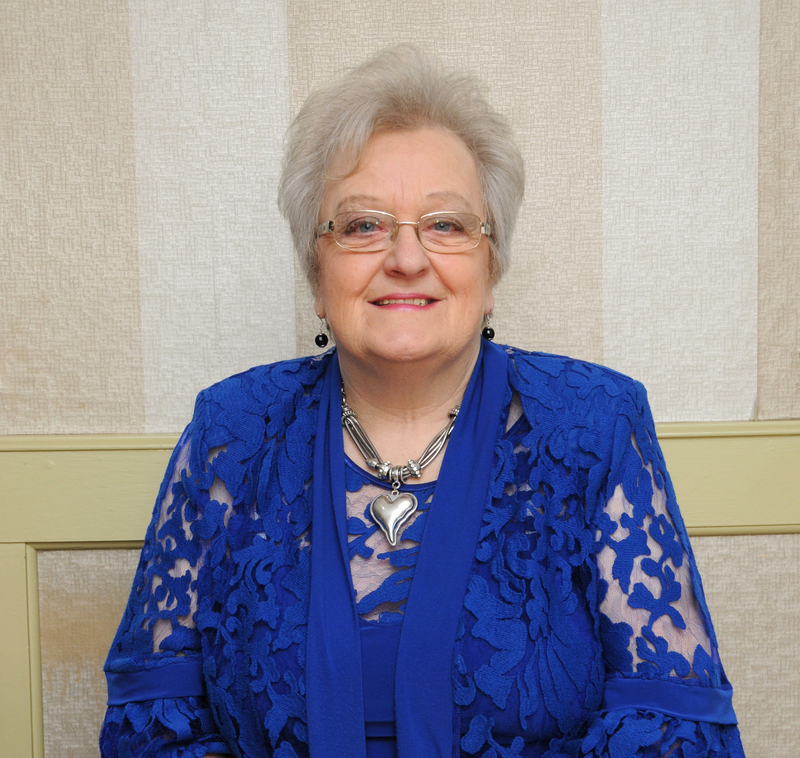 Since settling in Carmarthen in 1972, she has coached hundreds of children and young people, with many becoming regular winners at eisteddfodau and in the National Cerdd Dant Festival, as well as performing at musical evenings and concerts. She voluntarily coached the student groups at Coleg y Drindod for many years, before setting up male singing group, Bois y Dderwen, and then the Telynau Tywi womens’ choir, which she conducted for fifteen years. She was the organist at Priory Chapel, Carmarthen for many years, organising numerous concerts and congregational singing festivals. She is the current Chair of the Gŵyl Fawl Medi Capeli Myrddin, the Chair of the Carmarthen branch of Merched y Wawr, during its golden jubilee year, and was President of Cymdeithas Cerdd Dant Cymru last year. She epitomises the aims and values of the Sir TH Parry-Williams Memorial Trust, and therefore, fully deserves to receive this year’s Medal. Sir TH Parry-Williams was a great supporter of the National Eisteddfod, and in August 1975, following his death a few months earlier, a trust was set up to celebrate his invaluable contribution to Eisteddfod activities. The fund is administered by the Sir Thomas Parry-Williams Trust. Meinir will receive the Medal on the Pavilion stage during the Cardiff National Eisteddfod held in Cardiff Bay from 3-11 August. For more information on the National Eisteddfod and to purchase tickets, go to www.eisteddfod.wales.